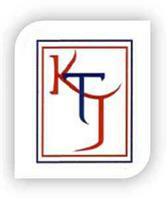 KTJ Mobile Service Company Ltd - Garage/Vehicle Services based in Coxheath, Kent. KTJ Mobile Service Company undertakes mobile servicing, repairs (inc breakdown repairs), pre-MOT inspections & MOT failure repairs together with engine fault, ABS & airbag diagnostics and service inspection reset for cars and light commercial vehicles for fleet and domestic clients. Fully managed fleet service maintenance, health checks and repairs undertaken on your site. Work undertaken at a time to suit our clients ensuring their business is always on the road. We deal directly with the fleet/lease hire/warranty company. Domestic servicing and repairs, vehicle health checks, tyre condition & tread checks. For all clients, we also carry out clutch overhauls/replacement, timing belt & water pump replacement, exhaust repairs/replacements, suspension repairs & shock absorber replacements. 12 month warranty given on all work undertaken. Fully insured, Public Liability Insurance held. Waste oil licence held. Trade plates held, Registered number plate supplier and VAT registered. Based in Maidstone. Covers all South East area including ME, TN, CT, DA, BN, BR, CR & SW postcodes.